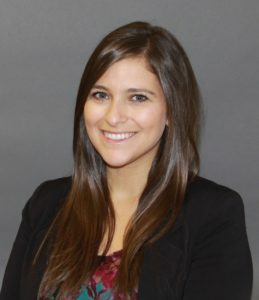 Sarah Haddad, Ocularist | Ocular Prosthetics, Inc.
Sarah E. Haddad, B.C.O., B.A.D.O. earned her BA degree in Psychology and Business from the University of Arizona in 2008. Following graduation she interned with a special education school, Harmony Through Education, located in Dharamsala, India, where she volunteered her time and talent for several months teaching local children with disabilities. Upon returning to the United States, she began her ocularist apprenticeship under her father, Stephen Haddad, B.C.O. Her successful training resulted in her American Society of Ocularists Board Certification in 2016. During her apprenticeship she joined a team of ophthalmologists and fellow ocularists on a mission trip to Haiti, where she fabricated and fit prosthetic eyes for many patients. In September 2016, Sarah spent time in Shanghai, China training Chinese ocularists to use fitting techniques developed here at Ocular Prosthetics, Inc, Los Angeles. Sarah’s strong sense of empathy and compassion motivates her to help others. It gives Sarah great pleasure to join her father and the team of ocularists at Ocular Prosthetics, Inc.
Sarah offers exceptional skills working with patients in need of all types of prosthetic eyes. Her experience includes fitting new pediatric retinoblastoma survivors, infants with congenital microphthalmia / anophthalmia, as well as adults recovering from cancer and trauma. In synchronicity with her ocularistry skills Sarah’s psychology background has proven beneficial to many patients, allowing them to express possible insecurities or fears they may have while coping with the loss of their eye. Sarah is available to see patients in the Los Angeles and Orange office locations. Special arrangements can also be made to accommodate patients traveling from long distances to complete a prosthetic eye in one day. To schedule and appointment with Sarah, please complete the form on the Request Appointment page or call our main office at (323) 462-6004.